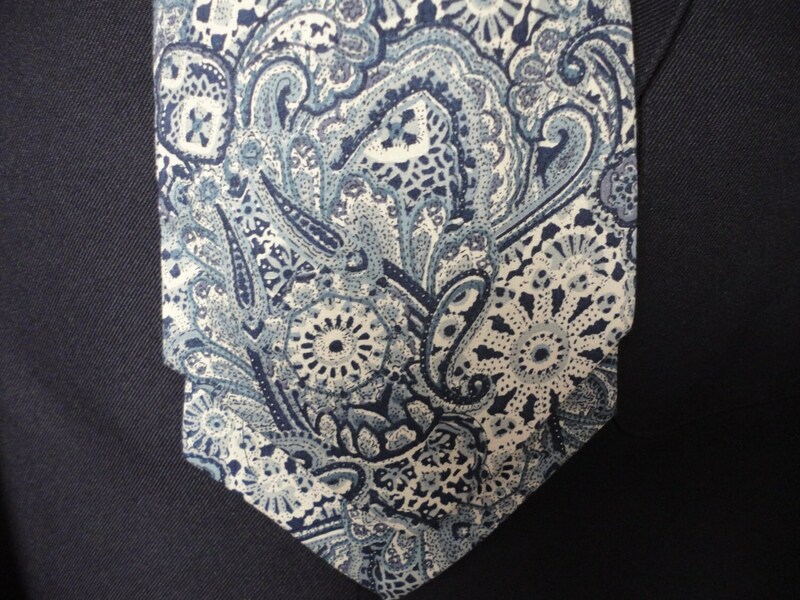 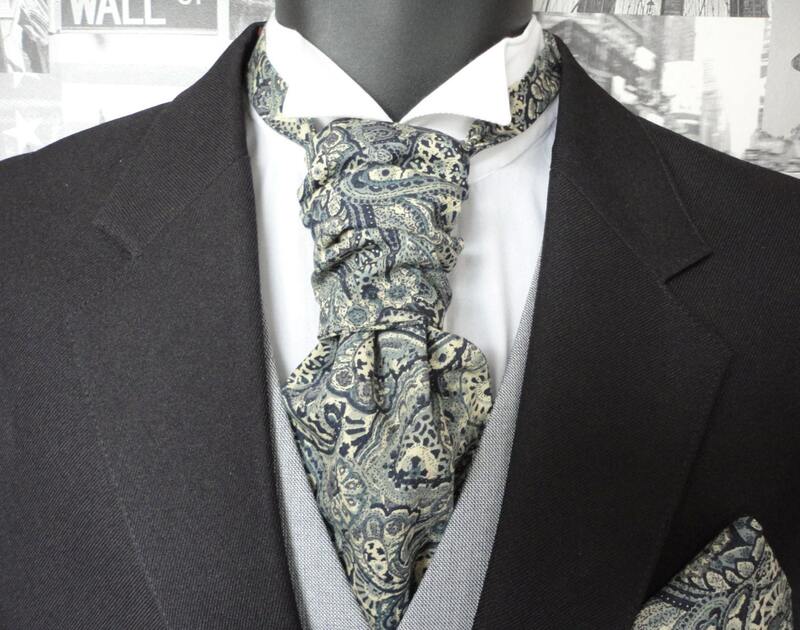 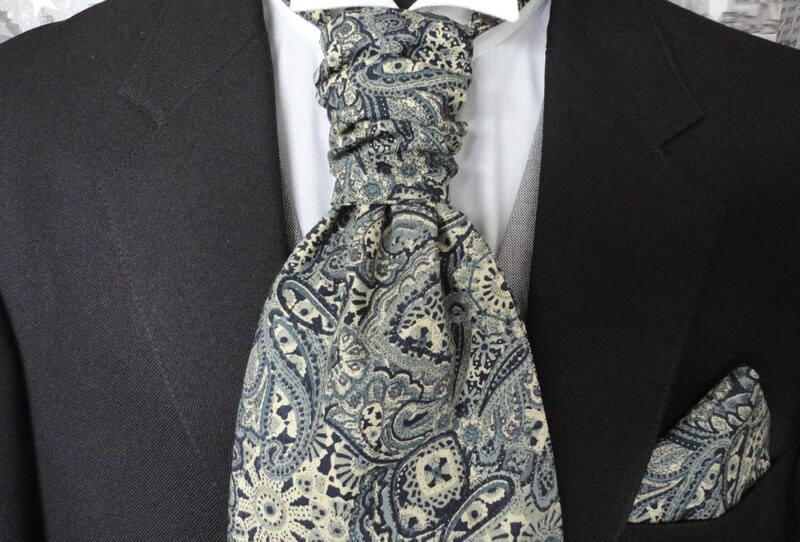 Blue paisley pre tied scrunchy cravat suitable for weddings or Ascot. 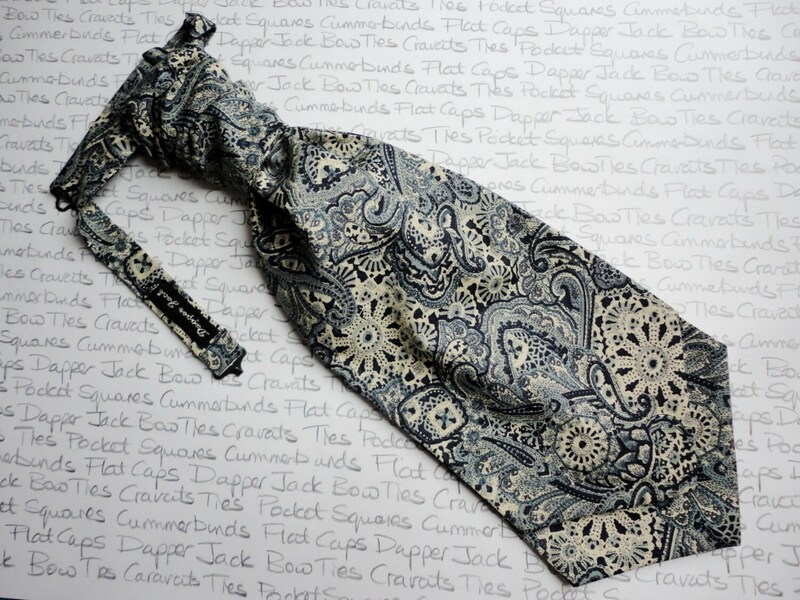 Pre tied on an adjustable neck band, will fit neck size up 20”. 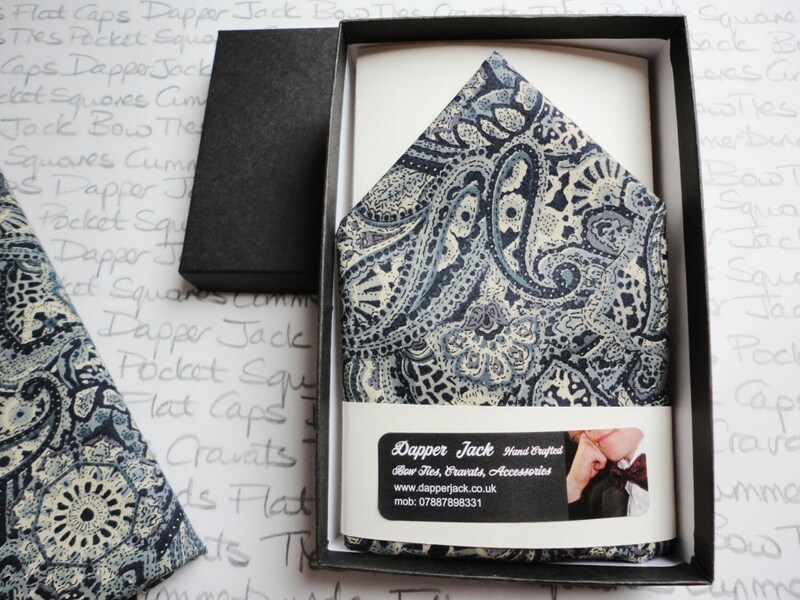 Delivered packaged in a gift box.